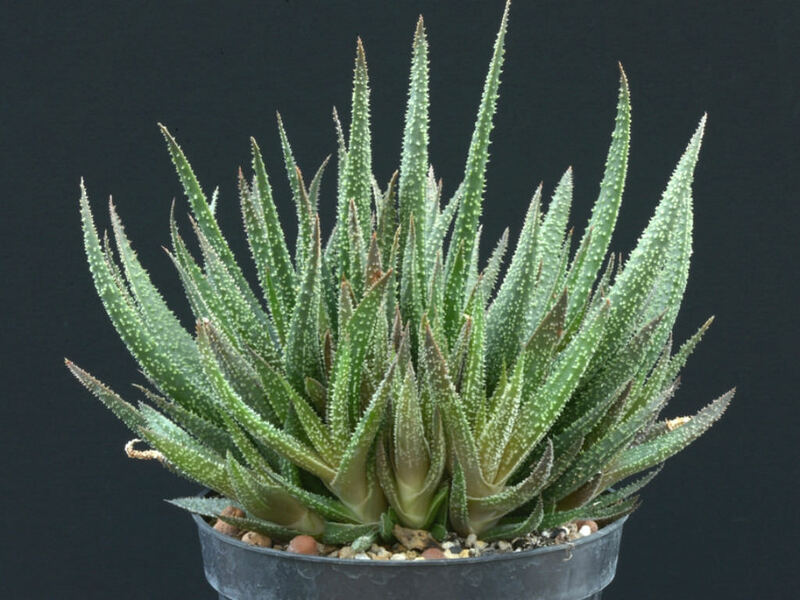 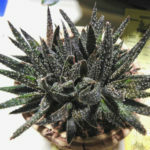 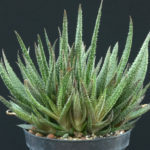 x Gasteraloe ‘Twilight Zone’ is an attractive, small, clumping, succulent plant up to 12 inches (30 cm) tall. 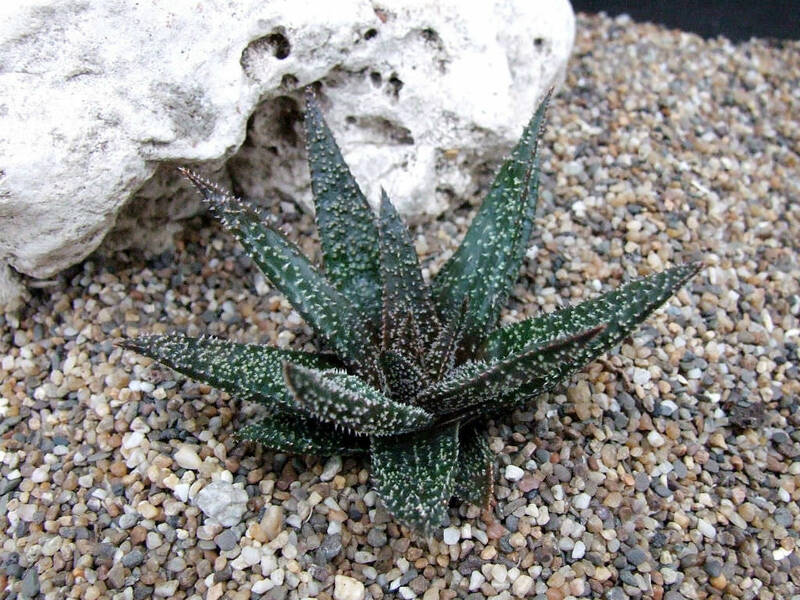 The tiny, white spots on dark green leaves appear like stars in a dark sky. 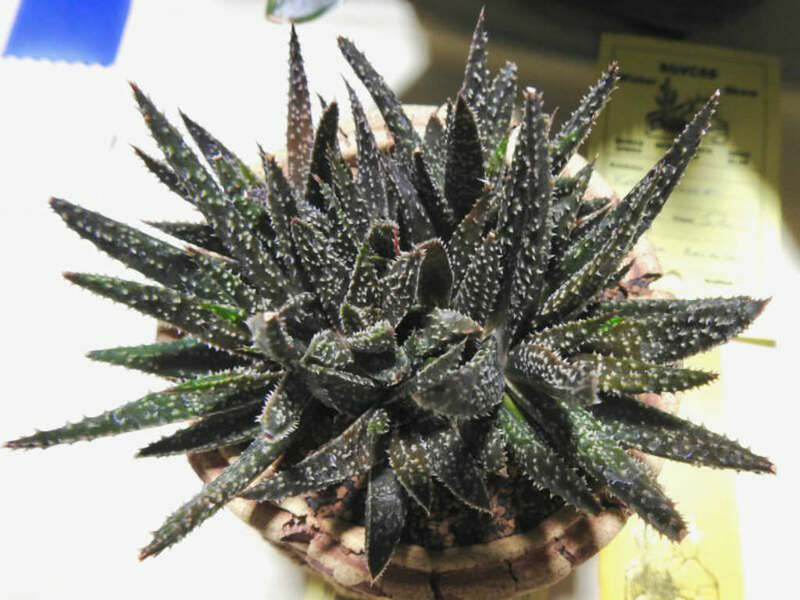 It looks almost black in sun. 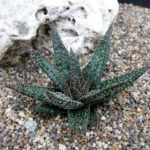 x Gasteraloe ‘Twilight Zone’ is a hybrid cross between Aloe haworthioides and Gasteria carinata, created by Kelly Griffin, who develops hybrids for Altman Plants. 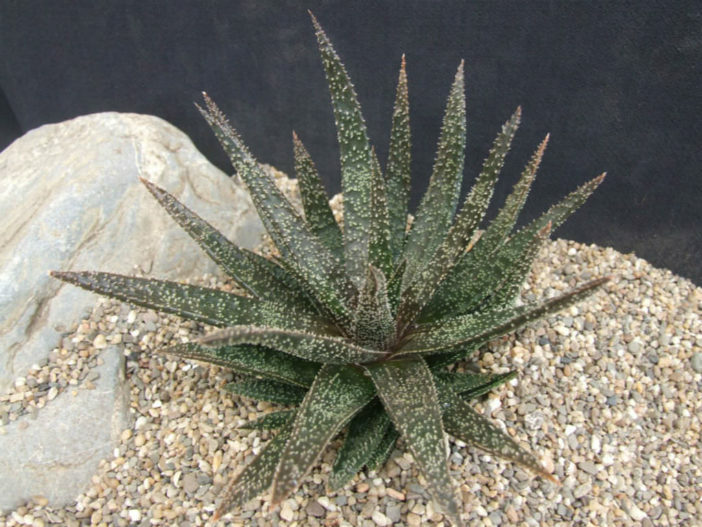 He named it for the intro to Rod Sterling’s Twilight Zone with the floating stars coming at you like driving in a snow storm.